Wondering what we are up to? Here you can find Kobojo's latest news! Broadcasted for the first time in English, this interview talks about the past, present and future of our brand new game Primal Legends. Q:Can you briefly introduce Kobojo's history? how many people are there in your team? Kobojo is a French start-up founded in 2008, which grown thanks to our talent for developing social games, initially on Facebook, more recently on Mobile. Our team is formed of 43 committed professionals and genuine Gamers, all based in our Paris Headquarters. Since its birth, Kobojo released 10 games enjoyed and loved by 70 000 000 registered Community members worldwide. Our brand new game Primal Legends launched 11th of August on iOS and Android, coronation of the work from more than 15 developers. Q:We've noticed that Kobojo's last title ZODIAC: Orcanon Odyssey's art style is very different from Primal Legends, andPrimal Legends is using Animal as it's topic, do you have any story can share about this? That’s very true. Zodiac’s artistic vision was all about creating an authentic J-RPG universe to match with the game and its audience. For Primal Legends, our Art Direction took a different path: the game itself is from different genres and we knew it would appeal to a player segment definitely broader than J-RPG fans. These are the main reasons we wanted a cartoonish and colorful design. Kobojo’s Art Director led our vision for both games, using lessons from our work on Zodiac to bring the most polished and dazzling visuals on Primal Legends. Our initial vision was to create a medieval and fantastic universe populated by human clans, each represented by an animal - as it is often the case in medieval history or medieval-fantasy universes. One fateful day, our Art Director created a visual banner with the current design of Drall (an Epic Hero, bear General in Primal Legends). We were so impressed with the design, how fresh such strong animal characters could be in the Gaming scene, and how fun looking at them could be, we decided to explore this area. The team was so enthusiastic about this art vision that we kept that direction, which gave birth to the game’s name: Primal Legends. Q:Can you briefly introduce Primal Legends's story? What role do we play in the game? It all takes place in this wonderful world called Theria where science and magic coexist, the animals evolved, created their own clans, alliances, cultures, technologies and magic. One day, everything changed when strange stones fell from the sky.. These mysterious stones had mystical powers, which gave strength to their owners but also corrupted their hearts. In Quests, The Commander (player) is an adopted son of the Wolf King. The journey begins after his kingdom suffered an attack from his brother Rog’s armies. To save his people, the Commander will lead an army in order to bring peace and justice back into the realms of Theria! We’ll let you discover the rest in the campaign as we don’t want to spoil the scenario and its twists. Q:We really surprised about the gameplay of Primal Legends, can you share some early prototype screenshot of this game? how long does it take for your team to set up the game mechanism? Our first goal was clear: to create a fun PvP experience using match-3 mechanics. After research, we identified trends on the PvP Match-3 games market, but none was matching our vision of PvP as it should be. It was very important for us to provide players with their own boards quite like Clash Royale and Hearthstone. Q:To put the Hero directly on the board is very fresh to us, so far how many usable Heroes are inside the game? can you introduce some Heroes that you think are very unique and special? It is what makes Primal Legends truly unique indeed! Hero placement, as-well as board alteration of potential matches or debuffed units, is a key tactical gameplay aspect that is often decisive in battles. Drall and Isiaaki for inflicting direct damages to your opponents. Shura for taking out enemy Heroes. Bane to heal and strengthen your units. Pyk for protecting your health bar and your team of Heroes. Gwenn for her crowd control mechanics: freezing ability and freezing deathrattle. Heroes need to work well with each other, and team synergy makes a huge difference in Primal Legends: there are endless strategic possibilities and we often face new set-up that even surprises us in Arena! Q:What is the next topic of the next big update? Will it focus on adding PVE Stage, hero, or other content? Our main focus is currently on enhancing the game in general and its mechanics. We plan to release new content regularly: in terms of Quests, our goal is to add 100 stages per month, new Heroes will also be released frequently. 4 new Heroes were released on August 23rd including the first legendary heroes: Noren the bull and Ned the alpha wolf! Additionally, one of our priorities is to improve general PvP in Primal Legends by bringing new layers to the competition using a league system and leaderboards. We’re also very keen to enable players to challenge their friends, and it will be one of the feature we’ll release. 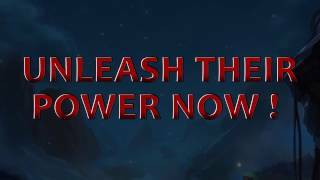 Q:Primal Legends seems to be designed for E-Sports, is it your initial goal? Our true initial goal was to create a fun PvP experience everyone could enjoy. PvP in Primal Legends has been a great success and very popular among our players, which drives us to keep improving competitive features. We always believed Primal Legends’ will appeal to engaged players into esports, and hope it will be a key game title in developing the blossoming mobile esports scene! Q:So far which country are more active for this game? have you ever consider to held an official league? USA & Western markets are where Primal Legends is currently most present. We hope the game will keep growing and have strong communities all over the world. When leagues and leaderboards are released, players will be able to see their ranking in their country, region and worldwide. No official league has been held yet but the team is hard at work to make this possible in the near future. Kobojo is delighted of the amazing feedback received following Primal Legend’s launch! Since its worldwide release, the team received an overwhelming amount of positive comments and great ratings from players, journalists and reviewers alike. A majestic mash-up of Battleship, Tetris, and the Guardians of the Galaxy movie. Primal Legends is a charming RPG. We love both its fantastical (and brilliantly destructive) creatures and the increasingly in-depth ways you’re asked to consider battlefield tactics in order to vanquish rival armies. We’ll never look at woodland creatures the same way again. Did you installed our brand new game yet? Make sure to play Primal Legends for free on Mobile and begin your own adventure, Commander! Kobojo is proud to announce a partnership with Paris’ very first Meltdown Bar, a prestigious and cutting-edge eSports establishment, for the launch of its new and innovative strategy/TCG, Primal Legends. 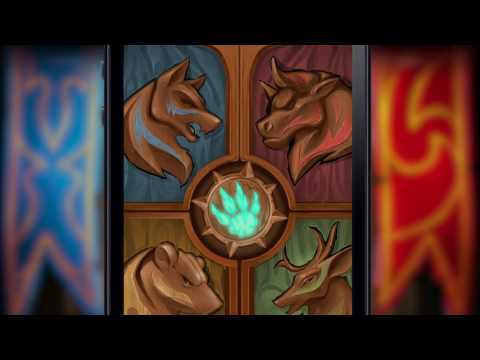 Primal Legends delivers a fresh experience to the mobile eSports scene thanks to its innovative and deeply strategic gameplay. Since the game’s August 11th launch, players going to the Meltdown in Paris have received an exclusive gift code for a free epic Hero and in-game gold and rubies. Kobojo is one of the very few French independent mobile game studios in existence. The company is delighted to be supported by Meltdown -- a genuine eSports pioneer with close ties to the top players in competitive gaming. With this partnership, the Meltdown Bar shows its support towards the blossoming mobile eSports scene and independent studios investing resources in competitive games. The Kobojo team looks forward to growing its competitive community and is working on several new features -- including game recording on mobile, which will allow players to share the most breathtaking Primal Legends moments on social media and streaming platforms, tournaments, leaderboards and community challenges. Primal Legends is available as a free download as of August 11th. See you in the Arena! Meltdown is a franchise of eSports bars spread across Europe where gaming streams, tournaments, and events are organized. Meltdown has ties with top game studios in the eSports scene, and its franchise is about to open venues in the Canada and USA. For more information on Meltdown, please visit https://www.meltdown.bar/paris. International game studio Kobojo was founded in 2008 and is headquartered in Paris, with a studio in Edinburgh, Scotland. Kobojo is known for delivering engaging social gaming experiences with a knack for multiplayer gameplay depth and hand-drawn artistic flair. Its thriving online community includes more than 50 million registered players worldwide. In addition to Primal Legends, Kobojo developed the hit title, Mutants: Genetic Gladiators. To learn more about Kobojo and Primal Legends, please visit http://www.kobojo.com and http://primal-legends.com. Battle your way across 200 levels of quests, discover more than 50 stunningly detailed Heroes, and fight online opponents through intense real-time Player vs Player combat in this genre-bending adventure through the wonderful land of Theria. Each Primal Legends battle begins with a straightforward concept: matching units on the board so that groups of three or more of the same color can attack the enemy by taking out their troops, chipping away at opponent Heroes or directly damaging your opponent! At the same time, matched units begin to charge up powerful Hero characters that players can wield with devastating results. However, not all Heroes deal direct damage; some heal or protect soldiers, while others increase their attack power ... or even assassinate enemy Heroes! It’s up to players to assemble the best team of Heroes, create and find the most efficient synergies. The careful application of basic troop attacks as well as the judicious use of Heroes is essential if you are to beat each of the game’s 200+ levels. Objectives can be varied: dropping the enemy’s hit points to zero, aiming at specific targets in the enemy camp, and much more. 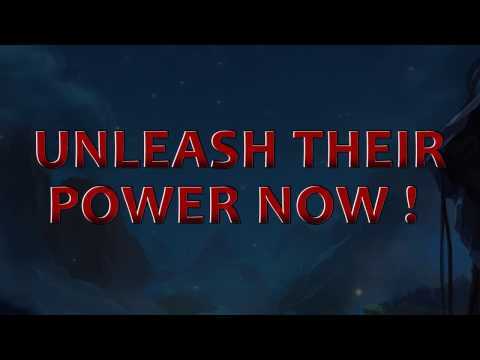 Cooperation with friends plays a big role in Primal Legends: Working with other players makes it easier to complete the collection of champions and thus unlock their full potential in-game. As battles are won (and reward chests are unlocked! ), you can also level up your roster -- developing advanced strategies that make the best of the interactions between Heroes. Epic adventure: Persevere through the trials of Theria and face ferocious bosses in more than 200 levels. Incredible duels: Challenge players from around the world in real-time Player versus Player battles. Innovative core gameplay: Discover a truly fresh multiplayer game - easy to learn, but hard to master -- using a blend of both classic Match-3 and trading card game mechanics. Many Heroes to discover: Collect more than 40 Heroes with more to come, and learn about their powers! 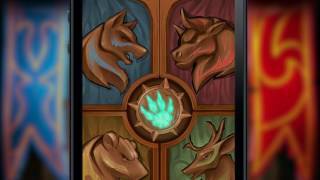 Primal Legends is now available on the App Store and Google Play. The game is free to download and play, and includes in-app purchases.